This book is aimed mainly to guide the new entrants in the textile field, who would like to supervise the processes and manage them. The chemicals and chemical reactions are not discussed in this book as the process parameters and the chemicals used vary depending on the processes which needs to be decided by the senior technical person in the section considering the fabric in use, the effect required, the machinery and chemicals available. This book gives general guidelines that are applicable for all which can be used as a guide for training technical staff. 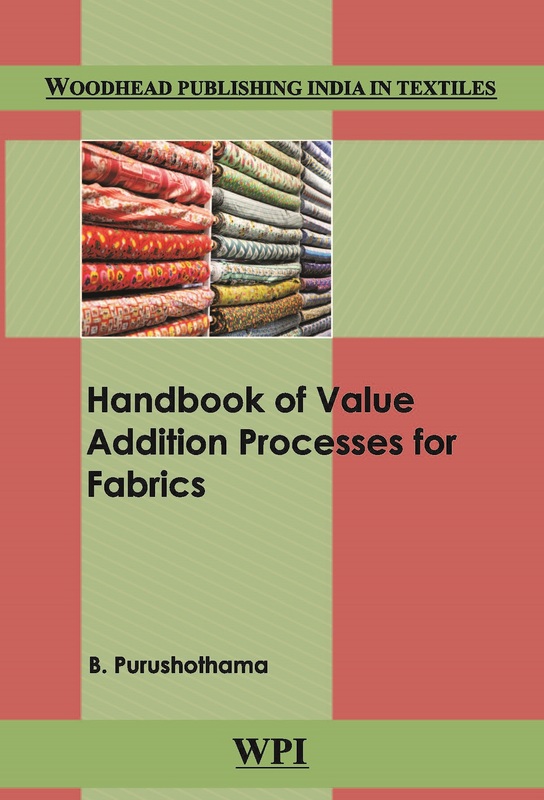 It is not possible to list all the value addition processes practiced world over in one book, and hence, an attempt is made to collect details of some of the commonly practiced value addition processes, especially for apparel purposes. The functional treatments given for various technical textiles like medical textiles, protective textiles, industrial textiles, aggrotech materials, geotextiles, and sport tech and so on are not covered in this book.